If you want a glossy new Xbox 360, pick one up soon. Just don't forget to wipe off the fingerprints. 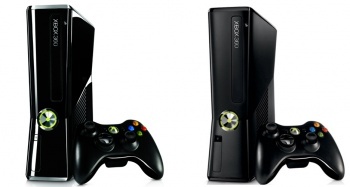 After "the coming weeks," Xbox 360 consoles will be available at retail with a matte black finish only. Current 4GB models already feature the non-reflective exterior, so if you think those look neat, you've got nothing to fret over. My heart goes out to those of you who love shiny things. Microsoft announced the news earlier this month, but due to confusion from both consumers and the media, Larry Hryb, Xbox Live's Major Nelson, dropped some clarifying knowledge via his official blog. "Some of the news outlets that covered [the announcement] mentioned having a choice between matte and glossy Xbox 360s this holiday," Hryb said. "I wanted to set the record straight and let everyone know that that is not the case." Hryb added that future Limited Editions, including the upcoming Gears of War 3 console and the Star Wars console, may still be offered with a glossy finish. "The coming weeks," isn't exactly a specific timeline, so if you really want your 360 to also serve as a mirror, go out and buy the 250GB model now. The current, glossy, 250GB systems retail for $299.99. The matte black 4GB version costs $199.99.